On November 6 at the University of Virginia School of Law, I debated PETA’s attorney on the issue: “The Kill Versus No Kill Debate: Which Animal Shelters Are Most Humane?” I argued for a guaranteed right to life for companion animals entering shelters. 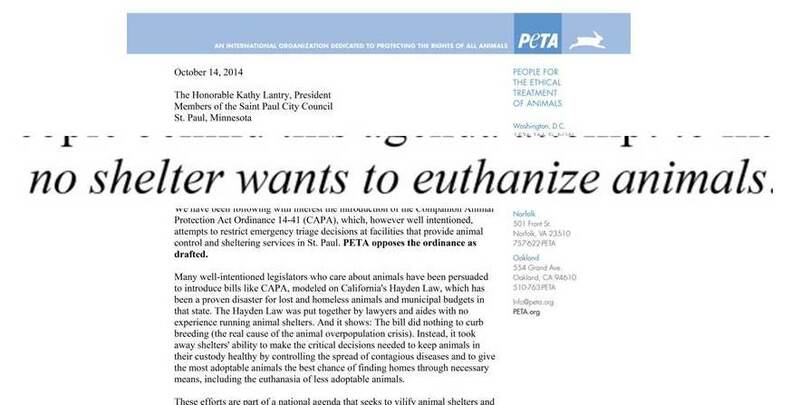 PETA argued that animals were better off dead. In the interests of full disclosure, I agreed to have the debate videotaped or audiotaped and to make it available to everyone so people could hear for themselves what each side believed and where each side stood on the issue in their own words. PETA refused. As such, over the next several weeks, I am going to post on the fundamental disagreement between PETA, on the one hand, and on the other, myself and what I believe to be the true No Kill and animal rights position. Yesterday, I posted about their call for the mass extermination of pit bulls in shelters. Today, I address PETA’s claim that “no shelter wants to euthanize animals” (including PETA itself, which kills roughly 2,000 animals per year). Today, an animal entering a shelter in this country has a one in two chance of being killed and in some communities it is as high as 99%, with millions of animals—the vast majority of whom are healthy or treatable—losing their lives every year. The reason for this statistic is as shocking as the statistic itself. In the typical American animal shelter, animals are being killed for two primary reasons: habit and convenience. 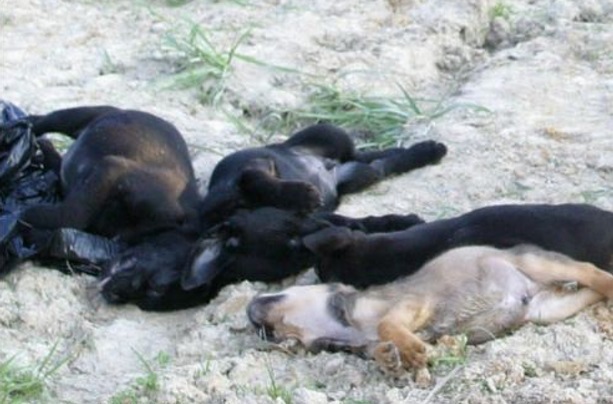 They are killed when there are empty cages, within minutes of being walked in the door, without ever being offered for adoption, despite rescue groups ready, willing and able to save them, and despite a whole host of programs and services that would provide those shelters alternatives to killing if only shelters would implement them. Hundreds of American communities with shelters which have embraced these alternatives to killing are now saving between 90% and 99% of the animals proving how unnecessary the killing is and how false the historical excuses used to justify that killing are. Unfortunately, most shelters in this country refuse to follow their lead. Why? Because killing is easy, killing is convenient, and killing has become the default. So why bother with the hard work of implementing alternatives? To PETA, this is as it should be. They defend abuse in shelters as long as those shelters are “kill” shelters. They have fought legislation that would have banned convenience killing (when there are empty cages or when qualified rescue groups are willing to save them). 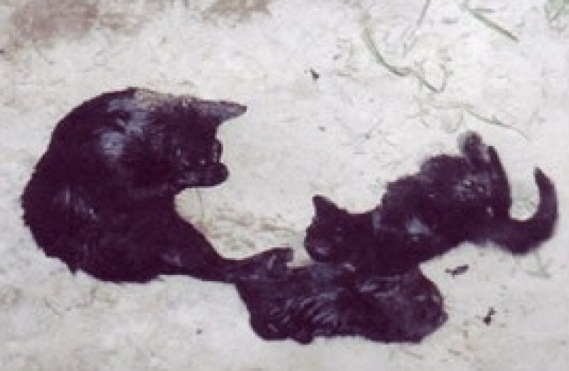 They fight efforts to legalize TNR in lieu of killing for community cats. 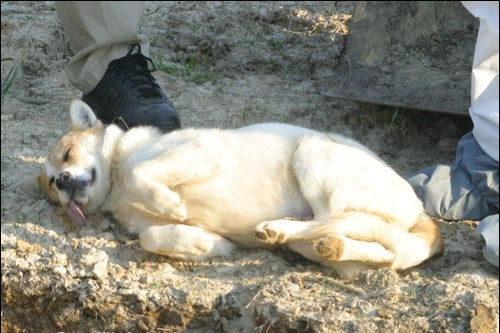 They have told shelters not to foster animals or to work with rescue groups, but to kill those animals instead. And PETA does not just defend the killing that others do, they kill animals themselves. When PETA representatives have been questioned about this killing, they’ve argued that all of the animals they kill are “unadoptable.” But this claim is a lie for numerous reasons. PETA insiders have admitted they kill healthy animals. As the spay/neuter van goes out in the morning to sterilize animals, one of its jobs historically has been to pick up puppies and kittens and other healthy animals people surrender to PETA on the way back at the end of the day and then deliver them to this little outbuilding in the parking lot of PETA’s headquarters. That building serves only one purpose: to kill animals. They are taken out of the vans and immediately put to death, their bodies stored in the giant walk-in freezer PETA installed for this very purpose. It is a freezer that cost $9,370 and, like the company which incinerates the bodies of PETA’s victims—Pet Cremation Services of Tidewater—was paid for with the donations of animal lovers who could never have imagined that the money they donated to help animals would be used to end their lives instead. Which begs the question: how can people want animals if PETA does not advertise them, fails to make them available for adoption, and kills them right away?